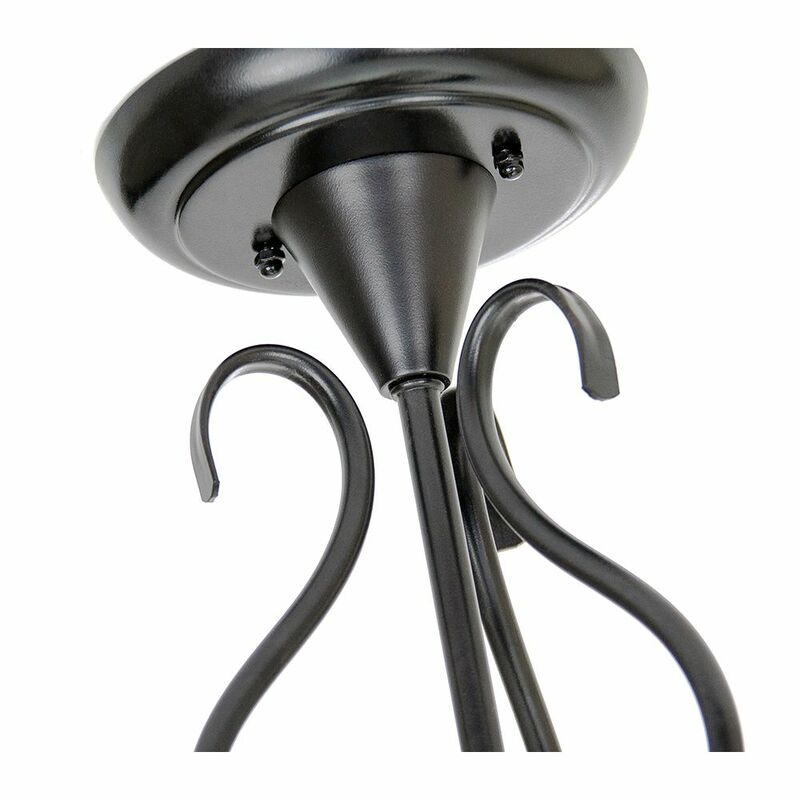 Traditional and ornate semi flush ceiling light fitting in a matt black finish. 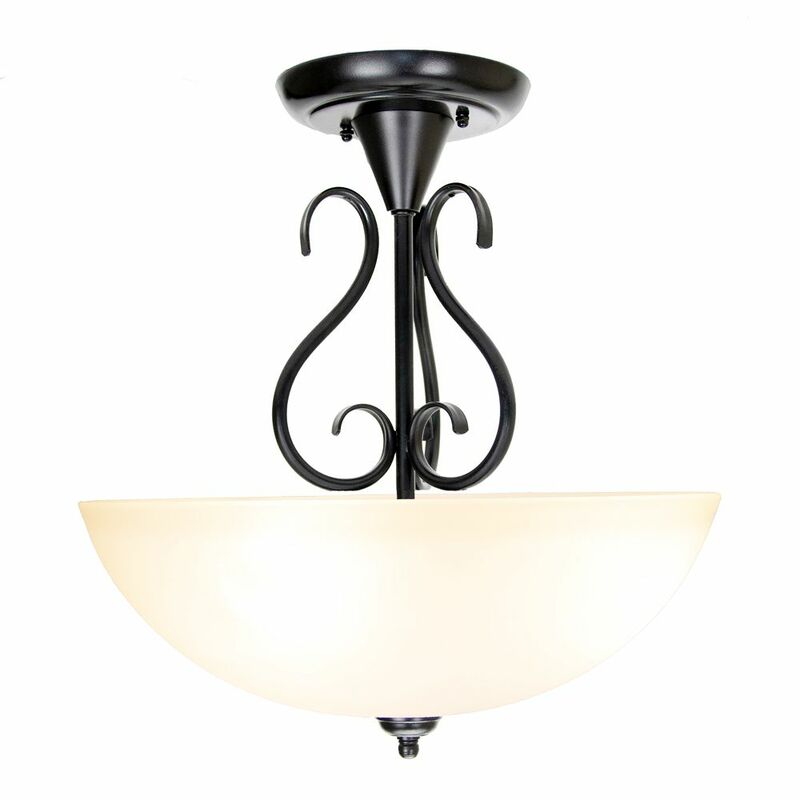 Features opal white domed glass diffuser shade and curling metal stem decoration. This light is fitting is dimmable but please make sure that the bulbs to be used are also dimmable. 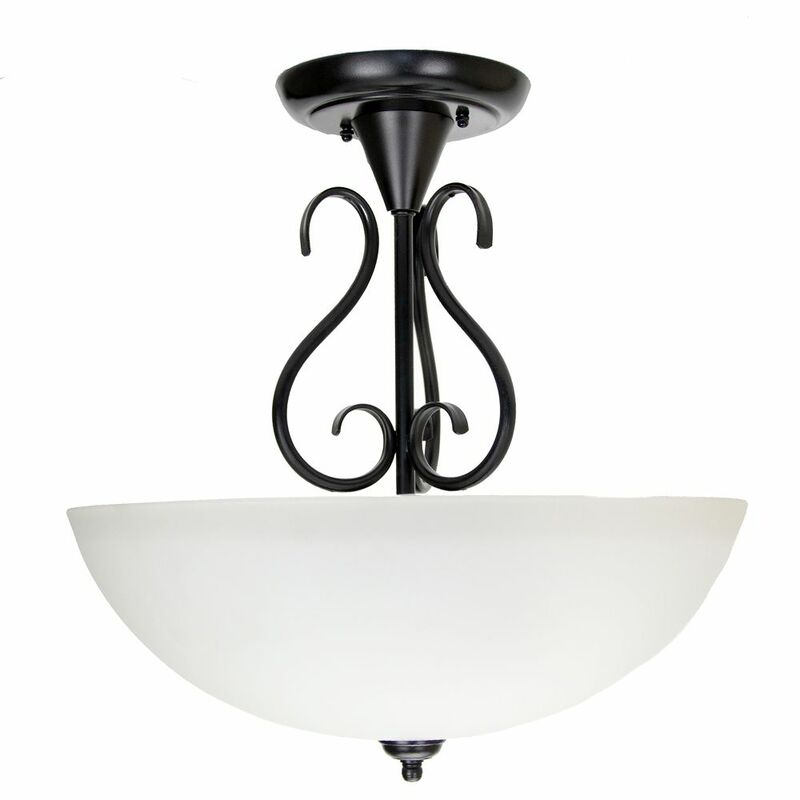 Product dimensions - Height: 40cm, Width: 40cm, Depth: 40cm. Requires 3 x 60watt maximum SES (E14) bulbs - not included. LED and low energy bulbs may be used if desired.